NEW YORK, NY – February 13, 2019 – The Tribeca Film Festival, presented by AT&T, will open its 18th edition with the world premiere of the HBO Documentary Film The Apollo. Helmed by Academy and Emmy Award-winning director Roger Ross Williams, The Apollo chronicles the unique history and contemporary legacy of the New York City landmark, the Apollo Theater. The film will debut at the iconic theater itself on Wednesday, April 24, 2019 and later this year on HBO. The feature-length documentary weaves together archival footage, music, comedy and dance performances, and behind-the-scenes verité with the team that makes the theater run. The Apollo features interviews with artists including Patti LaBelle, Pharrell Williams, Smokey Robinson, and Jamie Foxx. The documentary is produced by Lisa Cortés, Nigel Sinclair’s White Horse Pictures, and Williams. The 2019 Tribeca Film Festival runs April 24-May 5. The producers Lisa Cortés, Nigel Sinclair, Jeanne Elfant Festa, Cassidy Hartmann and Roger Ross Williams have assembled an outstanding creative team with editors Jean Tsien, ACE (Miss Sharon Jones!, Shut Up & Sing) and John S. Fisher and Grammy-Award-winning composer Robert Glasper (Miles Ahead, 13th) who is composing the score. Hartmann and Tsien also co-wrote the documentary. Nicholas Ferrall of White Horse and Dan Cogan of Impact Partners are Executive producing the film alongside Julie Goldman of Motto Pictures, and the Apollo Theater’s Jonelle Procope. Jenny Raskin and Geralyn Dreyfous will also Executive Produce for Impact Partners, along with the Embrey Family Foundation, the Lagralane Group, and Ken Pelletier. Carlene C. Laughlin and Dave Knott are also Executive Producing. Cynthia Sexton and David Blackman will Executive Produce for Polygram Entertainment. MACRO’s Charles D. King, Kim Roth, and Poppy Hanks will also executive produce, along with Jayson Jackson. Impact Partners is financing the film along with the Chicago Media Project, Universal Music Group’s Polygram Entertainment, MACRO, 164 OWR, Bert Marcus Productions, and the Ford Foundation. Since its inception 18 years ago, Tribeca Film Festival has opened with a range of films, both narrative and documentary, that celebrate cinema and storytelling: 2018 – Love, Gilda(Documentary); 2017 – Clive Davis: The Soundtrack of Our Lives (Documentary); 2016 – The First Monday in May (Documentary); 2015 – Live from New York! (Documentary) with a live performance from Ludacris; 2014 – Nas: Time is Ill-matic (Documentary) with a live performance from Nas; 2013 – Mistaken for Strangers (Documentary) with a live performance from The National; 2012 – The Five-Year Engagement (Narrative); 2011 – The Union (Documentary) with a live Elton John performance; 2010 – Shrek Forever After (Narrative); 2009 –Whatever Works (Narrative); 2008 – Baby Mama (Narrative); 2007 – SOS (Shorts program); 2006 – United 93 (Narrative); 2005 – The Interpreter (Narrative); 2004 – Raising Helen(Narrative); 2003 – Down with Love (Narrative); 2002 – About a Boy (Narrative). The Festival was founded by Robert De Niro, Jane Rosenthal, and Craig Hatkoff in 2001 to spur the economic and cultural revitalization of lower Manhattan following the attacks on the World Trade Center. Now in its 18th year, the Festival has evolved into a destination for creativity that reimagines the cinematic experience and explores how art can unite communities. The 18th annual edition will take place April 24 – May 5, 2019. 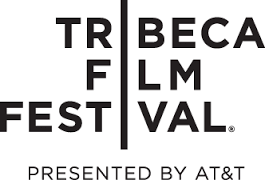 The Tribeca Film Festival is pleased to announce its 2019 Partners: 23andMe, Alfred P. Sloan Foundation, Bai Beverages, Bloomberg Philanthropies, Borough of Manhattan Community College (BMCC), BVLGARI, CHANEL, Diageo, ESPN, IMDb, Kia, Montefiore, National CineMedia (NCM), Nespresso, New York Magazine, NYC Mayor’s Office of Media and Entertainment, Prime Video Direct, PwC, Spring Studios New York, Squarespace, and Status Sparkling Wine.